What is Benzyl-Alcohol & Benzyl Benzoate and what do they do? Benzyl- Benzoate is a solvent. This means solutes such as Hormone Powders dissolve easily in it, and that is the main purpose of its use in Steroids. The Benzyl-Benzoate is used to dissolve and suspend the Hormone Powder. If the correct amount of this solvent is not used the Hormone powder will ‘undissolve’ from the solution causing the Steroids to ‘Crash’ (get cloudy/less effective). Some Hormone Powder dissolve more easily than others and therefore less Benzyl Benzoate is required. The fact that varying amount of the solvent are required for the Hormone Powders is why having this page as a resource is so vital. Benzyl-Alcohol is just a form of alcohol. Its use in Steroids is to preserve the suspension for months, even years, without any reduction in sterility. 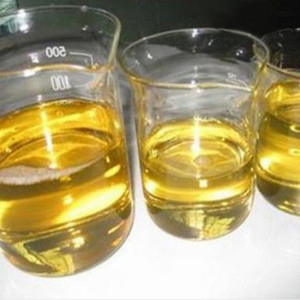 Alcohol is an anti-bacterial disinfectant and is used as such in many industries. As aforementioned Benzyl-Alcohol ensures the Steroid maintains its sterility when used in the right concentration, however, if too much is used the Steroid will be painful to inject and will cause post injection soreness. The above is the recipe you need for 10ml @ 250mg/ml for Test E.
QualityRaws reccomend all new recipes to be trialled with a 10ml batch. Use the above method to create a suitable recipe.